The anticipation is rising for the upcoming release of Disney’s Christopher Robin movie coming out August 3, 2018. If you are anything like the rest of the Disney lovers out there, you plan on getting your tickets in advance to not miss out on the opening day. But have you thought any further about a fun celebration for that day? 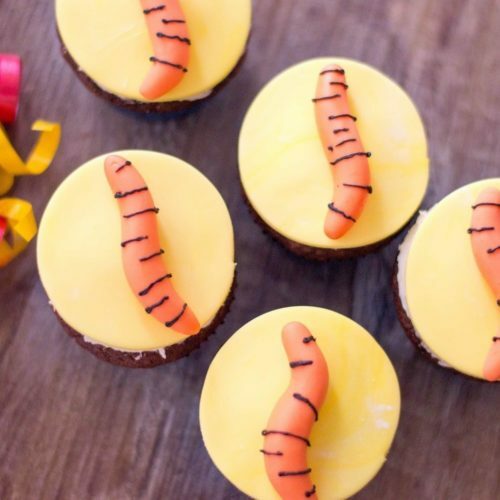 With these super fun Tigger Tail Cupcakes, they’re a simple way to get excited about the movie release! 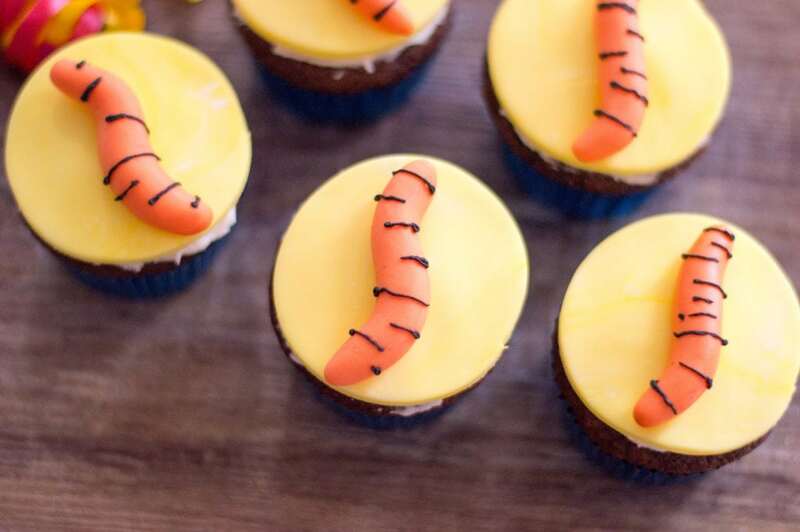 Not only are they delicious, they are simply adorable as well. Why not start off the big day with a cupcake pre-movie, and even possibly after? Take 5 oz. of your white fondant and color with 2-3 drops of yellow gel food coloring. Knead until fondant is completely colored (hint: put cornstarch on your fingers to avoid sticking). Sprinkle a clean working surface with cornstarch. Add cornstarch to a rolling pin and roll out your fondant so that it’s about ¼ of an inch thick. Using a circular cookie cutter that’s about 3 inches in diameter and cut out 12 fondant circles Set aside. Color your remaining 3 oz. of white fondant with 3 drops of yellow and 3 drops of red. Knead until completely tinted. Roll into 1-inch spheres and shape into long cylinders, about 3 inches in length and half an inch wide. Give each cylinder a little curl and place water on the back. 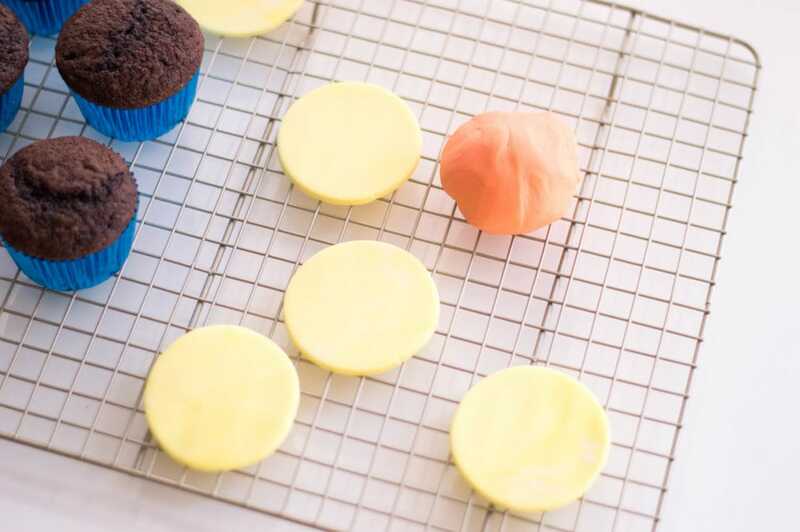 Stick one onto each of your yellow fondant circles. Using a stand mixer, beat together butter, icing sugar and milk on slow. Gradually increase the speed to high. These ingredients will make up your buttercream frosting. It is complete once the ingredients are well-combined, smooth, and form semi-stiff peaks. Apply buttercream frosting on each cupcake with an offset spatula. 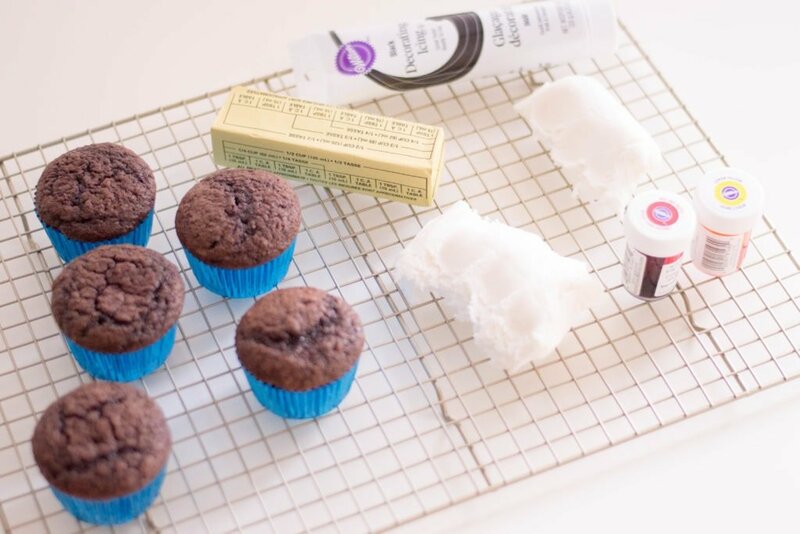 Carefully place your fondant creations on each cupcake and enjoy! 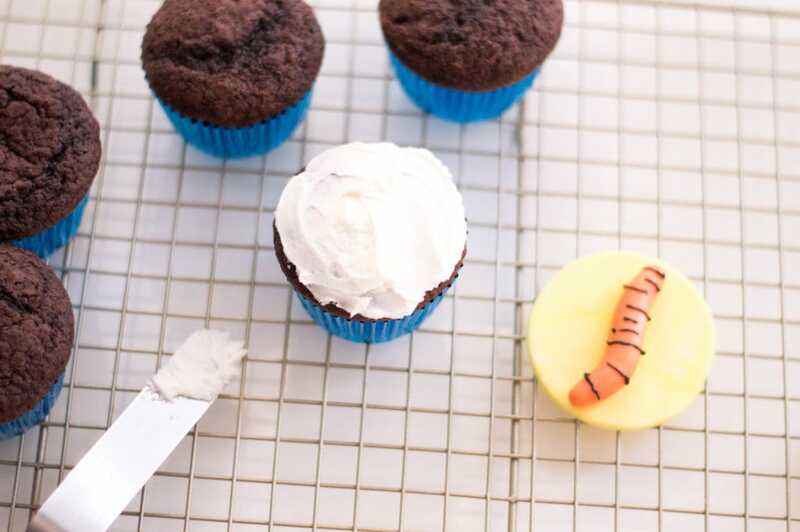 Apply buttercream frosting on each cupcake with an offset spatula. Carefully place your fondant creations on each cupcake and enjoy!